ABBA BORN AGAIN was formed in the year 1999. The band is composed of 6 members, base assembly plus bass guitar and drums. The band performed mostly abroad - the Balearic Islands (Mallorca, Menorca, Ibiza), Andalucía, The Canary Islands, Czech Republic, Poland, Hungary and of course Slovak republic. The band performs live accompanied by great musicians and singers. ABBA BORN AGAIN is not trying to imitate the original ABBA, but to create the illusion of a live concert of ABBA.The Show lasts one hour; of course, it is possible to edit the playlist and the length of the concert according to customer requirements. Great vocal performances, fantastic choreography, the original costumes and dynamically built the structure of this show will guarantee that no one will sit during performances, everyone will sing and dance. Amazing live show full of unforgettable hits of ABBA! Absolutely faithful live performance will get you! You will have the feeling that you're on live performances of the Group ABBA, exactly as in the seventies. Such is the live music show with a group ABBA BORN AGAIN. You will see a number of costumes, perfect dance creations and you will want to dance and sing. All the hits, in fact, well you know. This is no ordinary concert! This is a live ABBA illusion!!! You have to experience it! Suitable as well for the concert stage, theatres, as well as private and corporate parties! 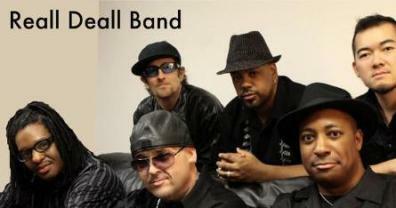 We are a company of Musicians, Singers, Dancers and Entertainers who have put together a repertoire of shows. This talented group is SO DIVERSE that our shows range from broadway style musical revue shows, to retro bands, to party and dance bands for your wedding, corporate event, concert or club. Joey Arminio has been a significant part of the New Jersey music scene for the past 32 years and his contributions on the local and national level are too numerous to list. He has teamed up with his wife, Doreen Arminio, whose expertise is in theater and dance, and created some amazing shows and bands. Whether you are looking for a small duo for a luncheon or a full 8 – 11 piece band for your wedding or corporate affair, you have come to the right place. We invite you to browse through the carefully selected talent available and are confident you will find the right band for your event. Biana Pinchuk is an 9 year old Singer and violinist. Biana Started to sing at the age of 3 and play the violin at age 5. She sings opera and Broadway songs. Biana made her debut at the Miami Performing arts theater in March of 2010, She also performed at several venues to help raise money for Haiti and the Make a wish foundation. She has performed with the “Hallandale symphonic pops orchestra” in Miami as well as a number of Florida Country Clubs. Biana has also won local singing contests. “Young talent big Dreams” Junior performance competition in south florida 2011, beating out more than 400 contestants from 8 to 17 years old. She also won the “Talent Quest Kids” 2011 in Fort Lauderdale, Fl. She will and be performing in the Young Stars showcase and in 2012 solo with the South Florida Youth Symphony. Biana attends Sunny Isles community school, where she is in a gifted and talented class. Biana attends the 3rd grade. She was also 2nd place winner of the spelling B in her school. Biana also plays the violin at a college level. She performs with her violin as well. She will be performing solo in May of 2012, with the Miami youth symphony. Recently Biana was interviewed on “Davidson Radio” a popular Russian radio station in New York City. In July she had a sold out solo concert in Brooklyn, NY. She has been featured on NBC- Miami in April as well as a benefit concert for Peter Guber – For helping raise money for disadvantaged pre-k kids. Biana also performs local concerts and has a large following in south Florida. Lara is a seasoned performer who has opened for Sammy Hagar, KISS, Willie Nelson, Journey, Heart, Cheap Trick, Huey Lewis, The Doobie Bros, Leon Russell, Lynyrd Skynyrd,and others. She has also appeared on a variety of television shows (ie., Good Day Northwest) and live concert events (ie., America's Got Talent World Tour). Currently she is on tour with Don Henley (confidentially). She's shared the stage with Whitney Houston (years ago! ), Bonnie Raitt, The Eagles and countless others. There are hundreds, if not thousands of tribute bands performing the music of the Beatles, Rolling Stones, AC/DC, Led Zeppelin, U2, and other monsters of rock. But Crosby, Stills, Nash, & Young? Next to none. A band dedicated to tributing CSNY is unheard of due to the difficulty in replicating the 3- and 4-part vocal harmonies that made the group international superstars. Marrakesh Express is the world's only touring CSNY tribute band and excels at reproducing their complex songs and cascading, layered harmonies. The band takes the audience back to the late 1960s with youthful musicians who bring an authentic hippie vibe and visual to the stage. CSNY was arguably the biggest band in the world after the demise of the Beatles, and is one of the most enduring and influential musical groups of all time. The band, born in the turbulent years of the late 1960s, released hit after hit that spoke directly for their generation. Their songs remain in heavy rotation on classic rock radio stations to this day. Marrakesh Express upholds the integrity of that music with their vivid and realistic performance of CSNY’s most recognizable songs. Featuring four harmonizing vocalists backed by a top-flight band, they deliver a unique and energetic concert performing the classic acoustic and electric CSNY hits, deep cuts, and fan favorites. 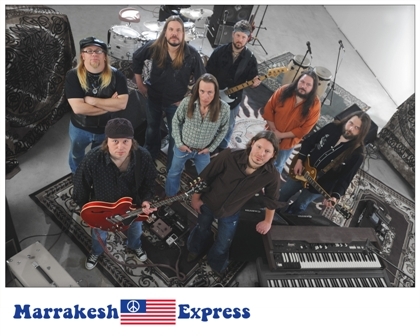 Marrakesh Express has played to tens of thousands of appreciative fans at music festivals, theaters, fairs, performing arts centers, and casinos, including headlining the Woodstock 40th Anniversary Tribute Concert. The music of CSNY has stood the test of time and fans of the classic rockers, as well as young people who are curious about “the 60s,” are anxious to venture out to hear it represented live. Marrakesh Express performs a full evening of classic rock staples that will have the audience singing along, reminiscing, and thinking about how their songs are still relevent today. "Marrakesh Express is a CSNY tribute, but they do not imitate as much as capture the spirit of. They are an organic, real band, with their own distinct personalities that shine through (often humorously) in their rapport with the audience. Their harmonies are gorgeous. They're great people -- fun and energetic. 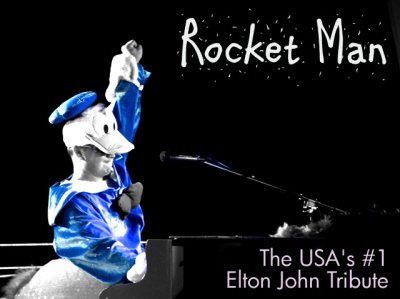 They are the most original tribute band I've ever seen." 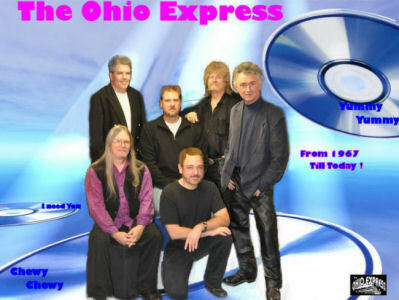 I am a representative of The Original Ohio Express Inc., The Ohio Express is a six piece Classic Rock Band specializing in all of the old one hit wonders, plus all of the original hits by The Ohio Express that include Yummy Yummy Yummy, Chewy Chewy, Beg Borrow & Steal, Mercy Mercy, that were all #1 hits, plus a score of other songs that were in the top 40, in 2009 we had another top10 hit in Europe called I Need You . We are one of a handful of bands in this country that have two Killer keyboard players, One that doubles off on guitar which still allows us the benefit of still having a keyboard player, 5 of us sing lead and back up vocals, The rest of the band is Lead & Bass Guitar, Drums and Lead singer / owner of the band Tim Corwin, Tim owns the trademark agreement for all US & Foreign Rights of use of the name The Ohio Express. 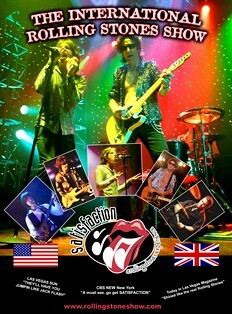 "Satisfaction/The International Rolling Stones Show" is the world's only touring production of it's kind dedicated to recreating the "World's Greatest Rock & Roll Band". Now in it's 10th year this show has performed to over 1600 clients with outstanding reviews. Representing the most authentic cast and costuming available this show has been recognized in Rolling Stone magazine, CBS News and hundreds of newspapers, tv, radio and magazines worldwide. Las Vegas Today, The Washington Post, Entertainment Weekly and many more have fetured this premier show. 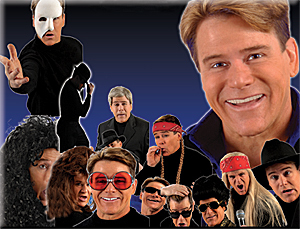 A perfect show for Performing Arts Centers, theaters, casinos, fairs, festivals, corporate events and more! This is the best show available of it's kind. Ike Turner Memphis Heroes Awards features Audrey Madison. Audrey Madison Turner is no stranger to the music business or the rapid success that often accompanies it. She’s been compared to everyone from Janis Joplin to Tina Turner, and from Millie Jackson to Big Maybelle. The San Francisco native has performed with some of the most celebrated acts in the world, including Natalie Cole and Stevie Wonder. Michelangelo claimed that he did not create a sculpture. Rather, the form was contained within the block of marble; he merely removed the excess, revealing the work of art. "I feel the same way about music, and about all the projects Im involved in. The projects do themselves; the music comes through me." The same vision Marty had when he launched the Jefferson Airplane is present today. In fact, nearly everything he has worked on over the years has been fueled with his vision of art and music as vehicles for expressing a positive message. 'I still have the same attitude. "I still love the positive, uplifting songs, and I believe in songs with those qualities. I believe that music can help change the world for the better\"
Born Martyn Jerel Buchwald in Cincinnati, Ohio, on January 30, 1942, Marty was raised in the San Francisco Bay Area by parents Joe and Jean Buchwald. Joe became an important part in the 60s San Francisco music scene. As a lithographer, he was responsible for printing more than 200 different posters for shows at famous clubs like the Matrix, the Fillmore and Avalon Ballrooms. Jean started and kept the Jefferson Airplane scrap books featuring many of the photos and newspaper clippings that are exclusive to this site. Marty met singer/guitarist Paul Kantner at the local club the Drinking Gourd, and together they formed Jefferson Airplane. Initially a folk-rock venture, the group came to epitomize the psychedelic scene, scoring a gold record with their 1967 second album, Surrealistic Pillow. Although vocalist Grace Slick was the focal point of hits such as "Somebody to Love" and "White Rabbit," Balin\\\'s soulful tenor proved a pivotal element of their sound as well. He also wrote key compositions including "Its No Secret" "Today," "Comin' Back To Me" "Plastic Fantastic Lover" 'Share a Little Joke," and\"Volunteers." 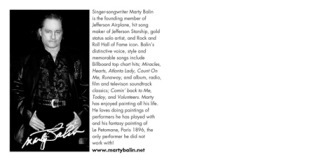 Marty was the founder and featured vocalist for Jefferson Airplane from 1965 to 1971. He appeared with the group during their performances at Monterey Pop Festival in 1967, Woodstock, and the disastrous Altamont Speedway concert in 1969. Balin was knocked unconscious by a biker from the Hells Angels motorcycle club while he was trying to save a couple of fans from being beaten by the Hells Angels. (This event was captured on film in the Rolling Stones documentary Gimme Shelter). Marty, who is also an accomplished painter, entered the new millennium painting and exhibiting his work at various art galleries. He continued touring on and off with Jefferson Starship and released four albums of his own: Nashville Sessions, Mercy of The Moon, Nothin' 2 Lose, and Time For Every Season. In 2009 Balin spent the year on and off in the studio with Slick Aguilar recording new songs for the album Blue Highway to be released in the summer of 2010. Jefferson Airplane performed at the Berkeley Folk Festival, Monterey Jazz Festival, Monterey Pop Festival, Woodstock, and Altamont. They had hit singles White Rabbit and Somebody to Love, from the album "Surrealistic Pillow". They were on the cover of Life Magazine in 1968. 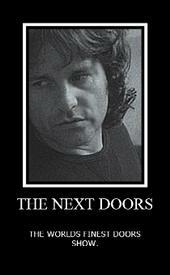 The band co- headlined with the Doors in Europe in the summer of 1968. Many legendary bands opened for the Airplane: Grateful Dead, Santana, The Doors, Jimi Hendrix, Creedence Clearwater Revival, The Who, Janis Joplin, Steve Miller, and many others. Anthony sits down to his drums, and the excitement begins to mount. He picks up his sticks and poises his body like a crouching Cat about to spring. He watches for a moment. Waits until the tension is ALMOST unbearable. You feel yourself ready for the blow. He raises his arms. It's coming, it's coming. And now... He Strikes! All of the fury of his untamed energy explodes! Anthony is the force that makes you flinch again and again as ALMOST HUMAN plays on. His blows drive the will from his victims, while all the time they want more and more. It's coming, it's coming... Destroyer Rik has been captivated by The Star Child. A destiny spawned out of KISS record covers and magazine articles, Rik became a musician at an early age. 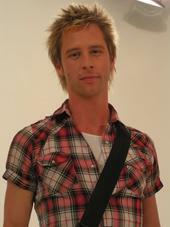 Since the early 80’s Rik has fronted such bands as Broken Promises, Take 5, Last Minute, Two Track Mind and Notorious. Rik has played numerous local venues and radio sponsored engagements from the 80’s to the present. The lights go out and this quiet and somewhat reserved musician jumps into character. Never over the top and completely believable, Rik will immediately identify with the audience and engage their attention. When his love for the music and the opportunity to pay tribute to his idol commenced it was ALMOST unbelievable, and with his band mates, Anthony, Ace and Mike, it is Almost Human. Mike has impersonated Gene Simmons since 1991 and has played in such respectable KISS Tribute bands as, "Rock And Roll Over" as well as "ALMOST HUMAN". Mike has toured the United States in this role and has played at over 20 KISS Conventions/Expos. At two of said Conventions, Mike has performed live with Ex KISS Guitarist Vinnie Vincent. In 1995, the real KISS held a series of KISS Conventions and Mike was lucky enough to have performed at one in Boston. The Idea was to have a KISS Tribute Band perform and then the Real KISS would come out and perform an acoustic set. However, KISS had to catch a plane to NY for the rehearsals of the KISS - MTV Unplugged performance and due to time restrictions, KISS went on first and opened up for Mike and his band. Mike's photo can also be seen in the book, KISSTORY (the Hard cover KISS Coffee table book). We dare you to find another impersonator that sounds more like Gene Simmons than Mike $corpio does. Anthony was first introduced to KISS at the age of six. He opened up KISS ALIVE 2 and became a fan for life. Drums were next and soon in High School he started his first band. As time passed, Anthony decided that make a living as a musician. CBGB'S and the Worcester Palladium are two of his favorite venues to play. Anthony has seen Peter Criss, Eric Carr and Eric Singer in concert but it was Peter Criss that got him interested in playing the drums. Between Anthony's vocal abilities and his drumming abilities, you WILL swear that you're watching the real Peter Criss of 1977 performing right before your very eyes. A unique guitarist specializing in the music of KISS. In 1976, a young Robby Mills watched KISS on the Paul Lynde Halloween Special and felt his world change. Robby picked up a cheap guitar and immediately began studying the signature licks of Ace Frehley. For the next 30 years Robby learned the licks, the moves, the facial expressions, everything there was to know of Ace and KISS. "When I'm onstage, I feel as if I'm channeling Ace. I AM Ace for those few hours." Robby became so well known amongst his friends and coworkers as Ace, that in 2000, he had his name legally changed to Ace. Now that's dedication! 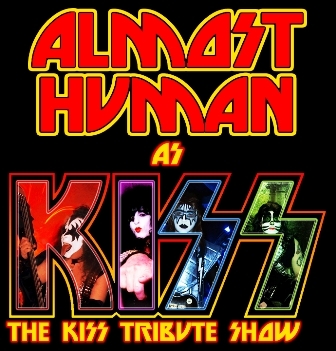 Ace has played with such KISS Tribute bands as "SIKK", and "Cold Gin" and now brings his unique talents to the forefront of the KISS Tribute industry with ALMOST HUMAN. "I'm playing with 3 of the most talented musicians I've ever witnessed. We not only have the talent but our personalities just jive onstage and that excitement explodes out into the audience like a bolt of lightning." Experience Ace at his best with ALMOST HUMAN! Ronnie Lee Twist is a Rockabilly Hall of Fame Artist. His show, "Rockabilly Done Right" review paying tribute the greatest music of all time including music from Johnny Cash, Elvis, Jerry lee Lewis, Buddy Holly and MORE! It's a blast from the past that you won't want to miss.